It's been a while since I've posted something about London, so here goes: another museum review. See my other museum reviews here. 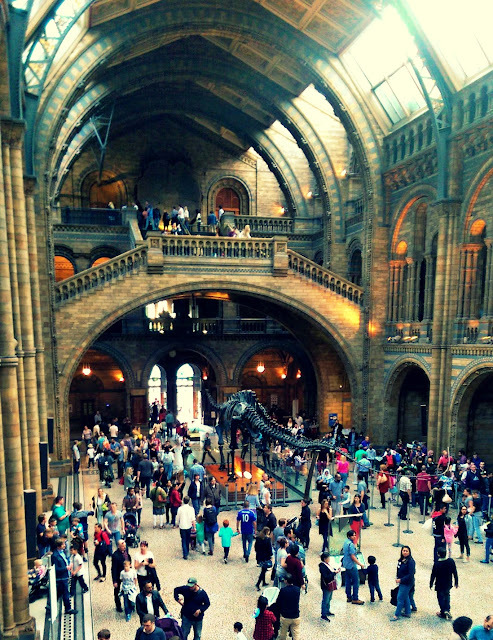 So another adventure to South Kensington to visit the National History Museum, one of the most famous museums in London. The museum is most famous for it's dinosaurs exhibit which I remember going round when I was a kid, but there is still lots to explore in other parts of the museum! Going on a busy, sunny Saturday was a bit of mistake though - the best parts of the museum were pretty packed and to get through to see the dinosaurs was an ordeal. We had to queue to get into the room and walking along the walkway was like a slow moving queue at a theme park. The museum opened in the late 19th century when the dinosaur collection outgrew the walls of the British Museumand the building is pretty impressive. 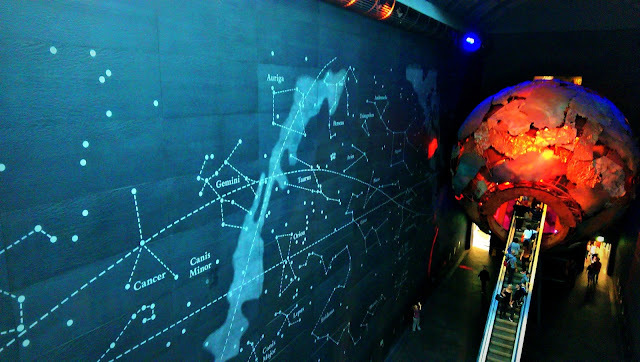 The museum, similar to the Science Museum next door, is FREE so you can re-visit as many times as you wish. Exhibits we visited as well as the famous dinosaurs included: The Earth Lab, Volcanoes and Earthquakes, Creepy Crawlies and Minerals. The museum also holds night events and soon there will be an ice rink for the Christmas period. Unless you are taking children, I think that if you are planning to visit a late night event would be great (no kids!!) or a week day would be best. The crowds at weekends and bank holidays really spoil what could be a really fun and educational trip! To see more, take a look at the museum's website here. Have you been to the museum? What was your favourite exhibit? Let me know in the comments below!